We believe in working one-on-one with each of our clients, to give them the best experience getting their travel documents and passports. 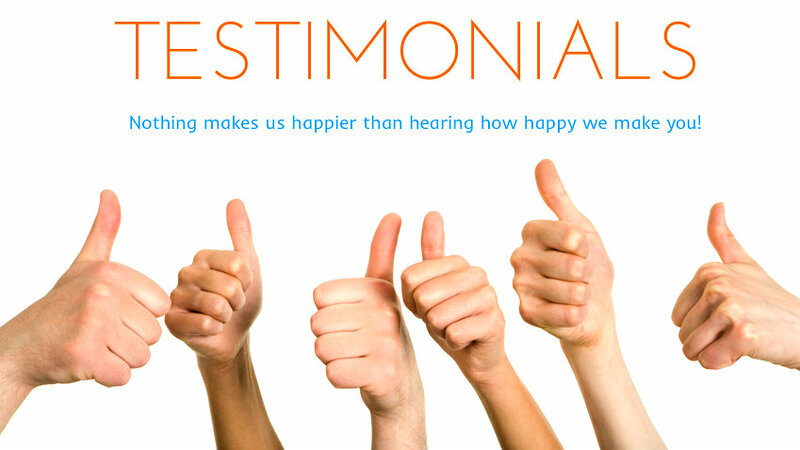 Testimonials found on this site are examples of what we have done for other clients, and what some of our clients have said about us. However, we cannot guarantee the results in any case. Your results may vary and every situation is different. No compensation was provided for these testimonials. Feel free to let us know your experience with Texas Tower at info@texastower.net or see us on Yelp. We were desperate to get visas for our trip to Brazil and we only had five days to get it done. Thank goodness for the folks at Texas Tower – we got it done in three days including the day we mailed the documents off. Three cheers for Texas Tower. Customer service very professional. I highly recommend them, I received my passport in no time!! Absolutely the best service. Very knowledgeable people. Extremely helpful! The staff at Texas Tower are AMAZING! To start with, I called the office one evening around 8:30PM… the webiste stated they were open 24 hours. I got an answering machine and hung up thinking I would call back during regular business hours the following day. About 3 minutes later, MY phone was ringing… it was Sergio returning my call, even though I hadn’t left a message. The customer service continued from there. He told me what forms I needed to include when mailing my documents to them for expedited service. I was called again to let me know everything was in order and my passport was being shipped. From beginning to end, the level of service was amazing and I couldn’t haven asked for anything better. Thank you! Always the skeptic, I only intended to get a passport photo from Towers but took all of my paperwork in case I felt like I could trust these folks enough to follow through in time and not cost a fortune. For $89 they hand-carried my most personal documents downtown, saving me the time and $10 parking, as well as knowing a secret rule against filling out the form “too early” and re-doing it for me (Geesh!). I received my passport two days before the day they estimated. Thanks to their professionalism, I was saved a lot of time and frustration, and will be on my way to a beautiful vacation! Texas Tower Passport & Visa Services in Houston ACED it for me in LESS than 24 hours. Outstanding team. Icing on the cake: everyone I dealt with has superb crisis management and customer service skills. Fast, friendly and affordable. They came through in a pinch. What more could you ask for? We’ve used Texas Tower in the past and they have continued to impress me with their professionalism and polite attitudes. They have repeatedly been my go to service for passports and I’ve never been disappointed. Their rush services don’t make false promises, and it seems they do everything they can to help everything get here asap. This family owned business went above and beyond to get me a passport in time for a family trip. Jenny – my passport fairy godmother! Kept my informed every step of the process both email and phone. I can’t imagine going anywhere else from this moment forward. I recommend to all my friends and family. Texas Tower is great. Sergio has helped me in a pinch getting my sons passport into Europe. It was not easy (time was short), but Sergio got all documents from us and had it couriered to the airport so he was good to go. I have a lot of respect for the service they provide. I highly recommend Sergio at Texas Tower, he is well versed at reaching the goal you set and will get it done! Wonderful job. If you’re in need of an expedited passport and looking for an easy, no-hassle experience, look no further than Texas Tower. Need it next day? Not a problem. They even do passport photos on-site. Good luck finding anyone doing it better or faster than Texas Tower. Jenny and Jay handled my needs efficiently and professionally, and I highly recommend both when you make your visit to Texas Tower. I have used Texas Tower for processing visas and passports at my current job and my previous job. We have also used them for translations and legalization. The entire staff has great knowledge of all the processes, which is very helpful. I have dealt with other agencies and Texas Tower has been my favorite! The rates are great and the assistance we get from them is amazing! If there is ever any problems that the consulate may be giving, Texas Tower always has a solution. They also have a great relationship with all consulates including the passport agency which is a major plus! Even outside of work I tell my family and friends to go to them. Many have and are always pleased with the fast process and amazing assistance they provide. I live in New Orleans and really didn’t ever find someplace down here that i felt would sort a simple renewal in an efficient and timely way. Was in Houston for a few days and called, visited Tower in one day, and had the renewed passport at my place in Nola – even though i had no imminent intl travel. Simple, fast, (they take the photos there at the office) and did everything they said. Highly recommended. I cannot say enough good things about Texas Tower. My daughter was only weeks away from leaving for a study abroad in Brazil, South Africa and India. We had her passport and the Brazilian visa ready to go, had received the documents to submit her Indian visa request and her passport disappeared with the Brazilian visa and her WHO shot record in it.We were frantic when we called Sergio. He explained the steps necessary to first cancel the lost passport then obtain the paperwork to request a replacement. We sent the docs, he had the passport in 24 hours.He submitted first the Brazilian visa request, which was complicated by the fact that it had already been issued and had to be cancelled and reissued as well.That was done in days. Then the whole mess was submitted to India which was also complicated by the fact that her supporting documents referred to her lost passport information. Through his contacts and communication he was able to clarify the issues for the consulate and get the visa. We were made aware of the progress throughout.My daughter got her completed packet with 3 days to spare. I see in other reviews that some customers question the fees charged. Make sure to note that the amount charged by Texas Tower includes the fee for the visa which you pay regardless, a fee for a money order which you pay regardless and shipping. Their service fee is only a portion of the fee you pay. Also note that some consulates ask that you present yourself in person. If you do not live in Houston, for example where the Indian and Brazilian consulates are if you are a Texas resident, you have to travel to Houston or have someone represent you in some cases. We had already taken an overnight trip to Houston to spend a full day getting the first lost Brazilian visa.Texas Tower saved us from having to do that again.We could not have accomplished this highly complicated feat that they pulled off in the time allotted. We paid $900 +/- for everything. My husband paid $500 last year to another company just to expedite an expired passport for a last minute trip. I think this service is a bargain and I could not recommend Texas Tower more highly. I needed my passport renewed for my trip to Dominican back in July. Dropped it off to them a week and a half before my trip and I got it back right in time for my trip. The staff is professional, very helpful and friendly. I highly recommend everyone to use them for your passport and visa services. Excellent professional service. Even when the computers went down at the Government passport office the staff at Texas Towers have such a respected reputation the Government staff worked late, apologetically called me to let me know they were working on it then the Texas Tower staff hand delivered my passport the following day at my home!!! Truly amazing!!!! I have been a client of Texas Tower Passport and Visa Services for many years, getting visas for a large number of countries as I travel on business a lot. They deal with an area which is difficult, as the visa application process for other countries can be complicated and time-consuming, They have always got the visas I needed on time, and most recently managed one needed urgently in less time than I thought possible. The staff is very professional and Sergio in particular is practically an encyclopedia on the visa process. We had a great experience with Jenny and Sergio. We found out that a visa was necessary for a trip that was happening in 1 week. I googled the Brazilian consulate and found a list of agencies that could help, so I went down the list and they were the first ones to answer the phone at 8am. They told us what they needed, got to us right away, and by Thursday we had the visa in our hand. No worries! Thanks guys! I was recommended to Texas Tower by Karla who answered a million questions for me patiently. She made me feel comfortable and confident about the way they would handle my Business Visa for Brazil. Since I would be traveling during the time my business visa was in process, they were able to apply on my behalf for a 2nd passport so that I could travel with no worries. My application for the business Visa went in on a Tuesday and it was available for pick up 2 days later! My flight for Brazil leaves July 27th and the next available appointment with the consulate wasn’t until July 24th. I would have never gotten my Visa on time if I did this on my own. I highly recommend this agency for any of your visa and passport needs. Thanks Karla, Jenny, and Sergio! First of all, I just wanted to say a deep thank you to the staff and especially the owner Sergio Garcia. He has been such a pleasure to work with. I needed 2 passport renewal and 1 new passport and needed them FASSST! (within a week) The service was great and fast and I give them 5 star! They were very professional and they even hand delivered all the passports to my office! The price was very affordable. I would recommend Texas Tower Passport and Visa Services to anyone who needs their passport renew fast and I will be back for future needs! Note: some grammar/spelling may be corrected for publication.